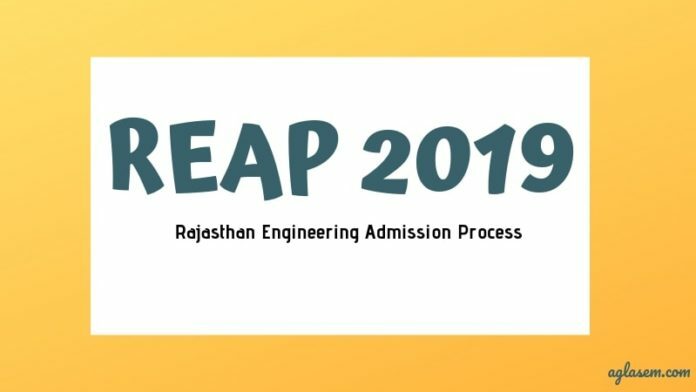 REAP 2019: The Rajasthan Engineering Admission Process (REAP) is conducted by the Rajasthan Technical University every year. Candidates willing to pursue engineering or technical courses can apply for REAP 2019 online at reapraj.com. Admission for REAP 2019 will be based on the merit of a candidate in JEE Mains 2019 score and class 12th percentile. 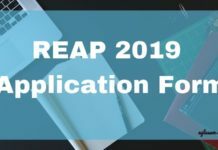 The registration for REAP 2019 is expected to start in the month of May 2019. Read the complete article to get complete details about REAP 2019. A merit list will be prepared by the university on the basis of JEE Mains score and class 12th percentile. The candidates apply through JEE Main will be given higher priority in the list. These candidates will have to attend the counselling as per the schedule that will be updated below in the table to get admission. 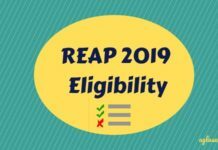 There are a set of eligibility norms set by the university for candidates to apply for REAP 2019. Go through the complete eligibility criteria given below before applying. Medical Fitness: Candidates will have to submit the medical fitness certificate to the allotted institute at the time of reporting on the prescribed form certified by a Medical officer. Domicile Criteria: there are a few domicile criteria set by the university to know the complete eligibility visit the REAP 2019 eligibility page. Candidates who are further eligible to apply for REAP 2019 will have to submit the application form. The application form will be available on the official website. To apply candidates will have to fil and submit them along with payment and application fee before the last date. Application Fee: An application fee of Rs. 700/- is to be paid by every candidate applying for REAP 2019. Pay the fee through web portal via Net Banking, ATM card, Debit card, Credit card, e Mitra. The amount is non-refundable. The candidate who gets admission through REAP 2019 can apply for internal sliding within the allotted institute o them before the special round. The dates for the same will be notified by the university. In order to apply for this internal sliding process candidate will have to visit the website, it is also to be noted that sliding will be carried out by the institutes according to the rules of REAP 2019 for Internal Sliding. The university also offers Tuition Fee Waiver to candidates under some condition. candidates falling under any of the below-listed criteria can look forward to TFWS scheme. All AICTE approved technical institutions offering bachelor, diploma and Post-diploma programme. Maximum 5% of seat intake per course will be for the admission. These seats are supernumerary in nature. Such candidate of Rajasthan whose parent annual income is less than 65 lakh is eligible for admission under this scheme. The candidate taking admission through special round shall not be eligible for this scheme. Note: This scheme is limited to the Tuition fee. Except for the tuition fee all other fees are to be paid by the beneficiary. merit list will be prepared by the university he basis of JEE Main rank and other on the basis of class 12th marks/percentile. A combined merit list will be prepared on basis of Merit list -1 and Merit list-2. Seat allotment will then be done o the basis of this merit list prepared. Also, the merit list 1 will be given higher preference over merit list 2. Merit list – 1: Based on JEE Main rank. In the counselling round conducted by the university, seats will be allotted to candidates on the basis of merit list generated. It is mandatory for a candidate to report for the counselling round else their admission will be cancelled. Further, the counselling will be done in three round followed by the special round through institutes. The first round will be for the out of Rajasthan ex-serviceman, PWD, Km candidate. The second round is for the Rajasthan candidate. 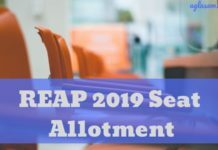 For the complete information for the allotment process check REAP 2019 allotment page. For more details of REAP 2018 – Download Information Brochure.